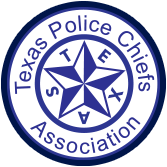 Thank you for your interest in joining Texas Police Chiefs Association. The following are eligible for Active Membership: Any person serving as Chief of Police or City Marshal who is the chief administrative head of the police department, or whatever title they may be called, of any incorporated city or town, institution of secondary* or higher education, public junior college or the Texas State Technical Institute, airport police, transit police and retired Police Chiefs may hold active membership in the association. The following are eligible for Associate Membership: Any person who is certified by the Texas Commission on Law Enforcement Officers Standards and Education as a police officer who serves as assistant chief, or the next level of command below chief, sponsored by the agency’s chief of police or the special agent in charge of any office and any federal law enforcement agency may be admitted as an Associate member upon approval of the Board of Directors and the payment of proper dues. Associate members, however, shall not be eligible to hold elected office, but shall have the privilege to vote, attend and join in the discussion at official meetings and conferences. Associate members are eligible to serve on committees and chair certain committees as appointed by the President. The following is eligible for Corporate Membership: Any company having an office or conducting business in the State of Texas may become a corporate member of the Association, after approval of the Executive Board and the payment of appropriate dues. Corporate Members, however, shall not be eligible to hold office or to vote, but shall have the privilege of having representatives attend and join in the discussion at the Annual Conference and Seminar. To apply for membership, Download our Membership Application.